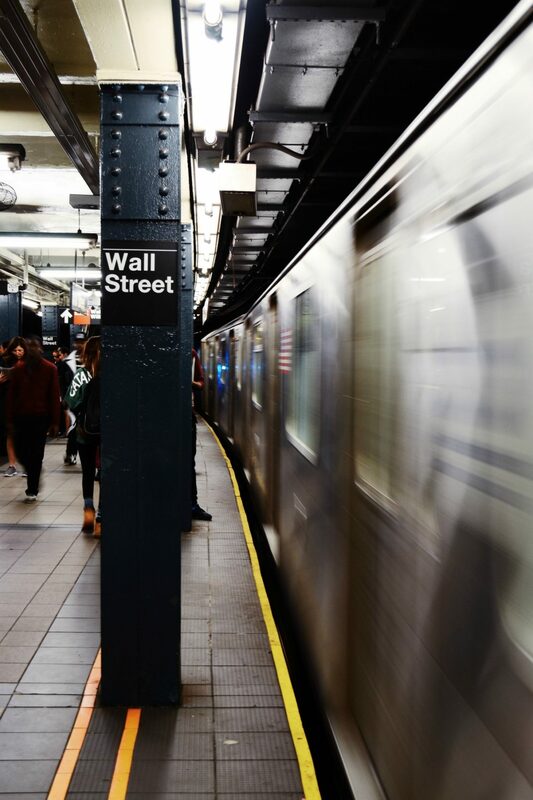 Catalyst Global is a financial communications consultancy launched by a team of experienced Wall Street and Investor Relations professionals. Our goal is to deliver new and effective solutions to the growing visibility, liquidity and communications challenges faced by small- and micro-cap companies. In our view, companies in these segments are often vulnerable to consultants, practices or services that do not provide sufficient experience, candor, perspective or resolve to deliver the ‘medicine’ needed to create true investor relations ROI. We continue to ask the question ‘why’ in everything we do, as in these rapidly evolving markets, doing what worked in the past is not always a solution. David brings deep capital markets understanding, expertise and relationships to his role in developing and executing impactful IR programs. Most notably, he advised Marvel Entertainment on its IR program for 10 years, from its emergence from bankruptcy through to its sale to Disney. He launched Catalyst to focus on providing expert client counsel & service – not just more of what passes for IR but lacks thought, innovation, impact or value. With 25+ years of capital markets, investor relations and corporate communications accomplishment, David dives into tough issues with passion, experience, clarity and persistence, tackling issues that affect valuation and create value. He oversees strategy development and implementation of all Catalyst client programs. 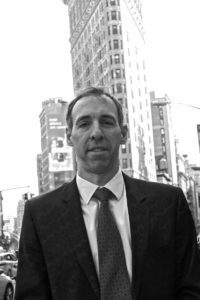 David launched Catalyst in 2012 after leaving Jaffoni & Collins, a New York IR firm he co-founded in 1994. He was previously a VP at Dewe Rogerson, a global IR firm; Director at Kehoe, White Savage & Company, a pioneering IR boutique; and Marketing Associate at investment bank Ladenburg Thalmann & Co.
David is a frequent writer and speaker on IR issues, is on the Board of the NIRI New York Chapter and is a member of the Board of Advisors of Fordham University’s pioneering Masters in Investor Relations program. Mr. Collins earned a BA in American Government from Georgetown University. 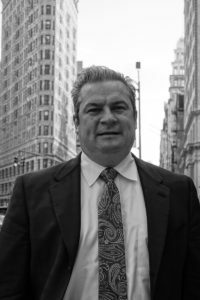 Chris has a substantial base of Wall Street experience, relationships and perspective, having spent 15 years at leading sell and buy-side firms. He spent 12 years in sales and trading at Barclays, Bear Stearns & Co. and J.P. Morgan arranging structured fixed income and derivative solutions for institutional clients. More recently, Chris was a Financial Advisor at Edward Jones & Co. and launched a new office in Westchester, New York for the firm. Chris earned an MS in Investor Relations from Fordham University and a BA in Economics from SUNY Buffalo. He is the Treasurer of the Pelham Art Center and completed a 1.5 mile open water swim in the Long Island Sound to raise money for charity. 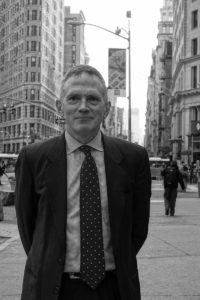 Bill Jones brings to Catalyst substantial Wall Street experience and small cap perspective both as a Senior Equity Research Analyst and from managing corporate access programs and semi-annual conferences for Singular Research. As an analyst Bill earned four- and five-star ratings for earnings accuracy. He is a co-founder of Solaris Select, a company-sponsored research product, and he has served on the Investment Committee of a fund relying solely on Singular Research ideas. 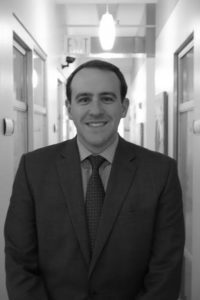 Prior to joining Singular, Bill was an equity research analyst with Valuation Research Corporation, Dresdner Kleinwort Wasserstein and Credit Suisse in New York. He has extensive experience in business valuation, having prepared financial reporting, tax, fairness, capital adequacy and purchase price allocation opinions for fortune 500 companies. His entrepreneurial pursuites include the launch of Singular’s corporate access program and the formation of a successful staffing business. Bill earned an MBA from the Pennsylvania State Smeal College of Business and a BS degree in Finance from the University of Scranton. He holds the Chartered Financial Analyst designation and is a member of the CFA Society of Philadelphia. Tanya brings to Catalyst a solid background in financial and corporate communications representing a range of companies across healthcare, technology and financial services, as well as non-profits from her prior experience at Brandspark, a marketing and communications agency. At Catalyst, she implements client investor marketing programs by identifying, qualifying and catalyzing interest from prospective investors, including non-deal roadshows and individual meetings. She also develops IR communications, including quarterly reporting, conference presentations, website copy and social media and blog content. Tanya earned a Masters Degree in Investor Relations at Fordham University’s Graduate School of Business, having previously earned a B.A. in Communications with a minor in Marketing, at Daystar University in Nairobi, Kenya. 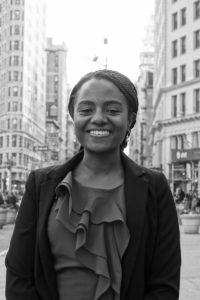 While at Fordham, Tanya served as a Graduate Assistant and was on the Board of the Fordham Investor Relations Society. She is an active member of NIRI New York, a recipient of the NIRI Chapter Team Award and co-heads Communications on the NIRI New York Chapter NextGen Committee. NextGen is a group of up-and-coming young IR professionals within the NIRI NY Chapter. Paul Krikler joined Catalyst to lead our Executive Presentation Skills Practice to enhance the success of investor-facing IROs and C-suite executives across the market cap spectrum. Paul has decades of experience managing top Wall Street analysts, bankers and salespeople to “Get to the Point” when presenting investment ideas with focused, actionable content. 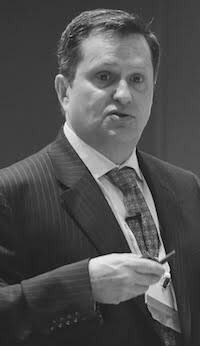 Prior to becoming an independent consultant, Krikler spent 21 years at Goldman Sachs in London and New York where he was a successful sell-side research analyst covering European pharmaceuticals. Subsequently, he held various roles in Research Management where he worked with analysts around the world to hone the effectiveness of their research, writing and oral presentations. He also served as Chief of Staff of Goldman Sachs University, the investment bank’s global learning and personnel development entity. Krikler began his career as a chartered accountant at PricewaterhouseCoopers in London. He earned an MA with honors in Natural Sciences at the University of Cambridge. Chris brings significant investor relations and sell-side analyst experience to the Catalyst Team. Prior to joining Catalyst, Chris was Senior Manager, Investor Relations at Harman International, a Fortune 500 company with 28,000 employees. He was responsible for global initiatives related to communicating the Company’s strategy and financial performance to the investment community. He also served as a member of Harman’s Corporate Treasury team, leading the Company’s foreign exchange risk management process. In addition, Chris has 10 years of experience as a sell-side equity research analyst, covering the Media, Entertainment and Technology sectors with various firms, including A. G. Edwards and Susquehanna. Chris earned his B.A. in Ancient History and Economics from Columbia University and his MA in International Relations from the University of Chicago. To provide individualized investor relations programs that build enduring investment community sponsorship for growing companies. As our name suggests, we intend to be a change agent for investor communications. We help our clients re-focus their investor relations with creative thinking, expanded outreach and introductions to top-caliber professionals. Catalyst works hard to forge close, collaborative client relationships that deliver a tangible return. As a boutique firm in a crowded field, our competitive advantage is deep experience and a strong track record of success for firms who have partnered with us. Graphic design experts for Investor Relations (infographics, reports, presentations, IR websites). Public Relations and Social Media experts for Investor Relations. Support senior account team in serving diverse base of publicly traded clients. Bachelors degree required. We welcome a wide range from Business & Finance to Humanities.